I thought I'd go more in depth about Cat Genie in this post today. If you want to read my full post about all the best cat litter boxes, you can do so here! Hope this Cat Genie review will help to clarify some questions. The Cat Genie is manufactured by PetNovations Incorporated, which is a subsidiary of PetNovations Ltd. They are based out of Norristown, Pennsylvania. 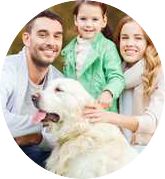 Their mission is to enhance the animal lover experience. They want you to enjoy your furry friends, but not feel like it is a chore to take care of them. What made them stand out for me was that they have excellent customer service. Also, the Cat Genie is a fully automatic cat box. It doesn’t use any actual litter, and is environment friendly. They sell accessories for the Cat Genie as well; including cleaners, granules and other accessories. The Cat Genie will keep your cats bathroom cleaner than yours. It is a fully automatic litter box; you’ll never have to touch litter again! With plenty of features and easy installing, you’ll be on the way to having a cleaner litter experience. You will need to set it up near an electrical outlet and water line. The Cat Genie comes with plenty of features. You can choose which mode you would like the Cat Genie to clean itself; there is also a child lock mode. You can choose cat start mode, which means that it will clean itself ten minutes after every time your cat decides to use it. The auto start mode lets you choose up to four times a day you would like it to activate. Or you can choose push start, which is just a button to start the cleaning process. It cleans, dries and disinfects your litter box without ever touching any of your cat’s waste. The litter like granules are biodegradable and environment friendly. The Cat Genie comes with a ninety day money back guarantee and two year warranty. The SaniSolution fully disinfects the entire litter box, keeping it cleaner than your toilet. After your cat is finished using the Cat Genie, the urine gets drained from the granules and only the waste gets flushed. Very rarely do granules get flushed as well. The Geniehand scoops the cat feces, where it is placed in a chamber inside the hopper. Inside the chamber, the feces gets turned into liquid by filling with clean water. Waste is then drained through the washer drain pipe. The drain pipe is either hooked to a septic tank or your sewer line; you can also hook it to the rim of your toilet. Once all of the waste is drained, the Cat Genie continues with more rinse cycles, followed by the SaniSolution disinfecting the box, and a hot air blower dries the litter box. The entire process takes about thirty four minutes; seventeen minutes to clean and seventeen minutes to dry. The Cat Genie is best for a home with a maximum of two average sized cats that are at least six months old. It is also best for busy or elderly cat owners who don’t have time to clean the cat’s litter box constantly. Many customers who have bought the Cat Genie love it! They love the fact that it works as advertised and that there is no actual litter. Customers also like that it’s a convenient product. Some don’t like the price of the Cat Genie and the cost of the upkeep; although it’s better than buying litter at least once a week. Another common downfall is that your cat can track the granules around the house. Maria loves this product because she works six days a week, usually over twelve hours a day. She didn’t have the time or energy to clean her cat’s litter box every single day, so she was doing it usually every other day. Her one cat is also very stubborn and will only go to the bathroom in a clean litter box; the Cat Genie makes it so they are both happy. Ralph thinks this is the greatest invention ever. His wife is pregnant, so she can’t clean the litter box. Ralph isn’t a fan of cleaning out the cat waste either, so this product makes his life easier! Marty has five cats and has had his Cat Genie for three years now. He has absolutely no complaints about this product. Even though his cats track the granules around the house from time to time, he thinks it’s worth it considering he doesn’t have to deal with litter anymore. He also suggests that you follow the cleaning and cartridge instructions so that you won’t come across any problems. The Cat Genie is a great product for anyone that has difficulties changing their cat’s litter box all the time, or someone who doesn’t have the time. While it is a great convenience, it can get costly. You’ll have to replace the SaniSolution and once in awhile, add some granules. It is good for a maximum of two cats. 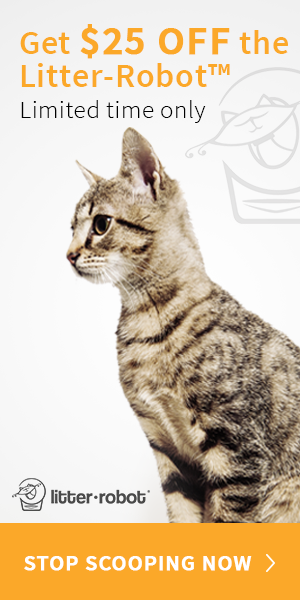 The pellets that are used in the Cat Genie Litter Box are reusable which is why Cat Genie is quite good with its environmental reputation. In addition to this, it actually has an additive that can be fed to bacteria that can break down plastics that are thrown in landfills. Regarding the purchasing of Sani-solution Cartridges, some people have wondered why the manufacturers don't choose refillable cartridges instead of making customers purchase new ones. The disposal of solution cartridges is quite alarming to environmentalists because there is not a lot of knowledge about what exactly a Sani-solution is and its disposal can be quite alarming to environmentalists about its impact on the earth. For most products of the brand, odor control is rather effective. However, some consumers (especially those who are more sensitive to smells) do mention that they don't like the Sani-solution’s smell (the solution which is supposed to emit a pleasing smell).